Knowing who you are and what you’re capable of is such a powerful thing. After all, when you know yourself, you attract the things you want in life. Whether it’s involving your career, health, or relationships, you won’t be able to accomplish anything unless you unleash your own potential. Knowing your true self is a magic formula that allows you to realize your dreams. But is being your best self something that you have control of? The good news is, yes… it is! Here are a few words of wisdom to help you achieve your best self. This one is easier said than done. However, it’s the most important first step. Unless you learn to love yourself, you’ll never get to know your best self. You’re probably so full of love for others such as your family and your friends. You need to give some of that love to yourself, too. When it comes to self love, start with positive affirmations. The idea is to send love and affection towards yourself. Nurture that love inwards. When you make it a habit, you’ll feel an internal transformation take place. Yoga and meditation are two exercises that you can get into if you want to master mindfulness. These are not only known for their health benefits, but also for what they can do for your general mindset. With yoga and meditation, you can reach deep inside your level of consciousness. When you reach that level, you can listen to your inner voice and begin to recognize your true self – one that is free from the limitations and pressures from society. When you’re physically healthy, it becomes easier to achieve your true and best self. Start by eating right and treating your body well. This doesn’t mean that you should pressure yourself into achieving your best fitness level. This is more about your nutrition, sleep, and physical condition being in sync. It’s also a good time to remind yourself about self-care practices. The physical aspect of your health is very important, because your emotional and mental health will follow. It’s truly so much easier to be in a good mindset when your body is healthy. One of the best ways to become your best self is to discover what you’re capable of. Remind yourself of your hobbies and interests, and then pursue them. Go read a new book. Write a novel. Do solo travel. Attend a cooking class. Watch a live concert. Even things that you previously thought you wouldn’t enjoy – give them a try too! For example, you can book a boudoir photography shoot. Sure, it will scare you at first. But don’t let that stop you from giving it a try. Seeing the photos afterwards can give you a huge boost of confidence. To see a visual reminder of your own beauty is a source of power. It’s so liberating to explore and step outside your self-imposed limitations. 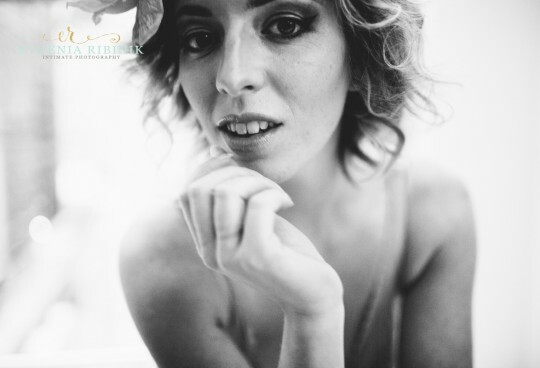 If you think boudoir photography might be for you, let’s talk! Contact me today and let me guide you on the journey to being the best you ever!